Therapie Roques Oneil Himalayan Detox Bath Salts //Weleda Skin Food // Caudalie Vinosource collection // Becca Shimmering Skin Perfector. The luxury sample sizes part of Latest In Beauty is one of my favourite places to discover new products or try sample sized version of hyped up products before buying the full size. I've discovered some of my all time favourite products this way like Emma Hardie Cleansing Balm, Omorovicza Thermal Cleansing Balm, Philip Kingsley Eleasticizer, Caudalie Premier Cru The Eye Cream and Aromatherapy Associates Bath Oils. Some of the popular samples sell out quickly so I usually check the site every other day or so to see if anything new has been added. I was surprised to see the Therapie Himalayan Detox Bath Salts to appear amongst the other samples the other week and I quickly placed an order a long with some of the other samples I've been wanting to try for a while. I already own the full size of the bath salts but for a bargain price I couldn't not buy them. I wanted a small tube of Weleda Skin Food to keep in my bag and although I know I have a small tube of it already, I have searched everywhere and cannot find it. It's only a 10ml tube but it's the perfect size to put in my make-up bag for when my skin is dry, either my hands or face. I also use a couple of the Caudalie Vinosource products so order the sample set so I could try the Intense Rescue Cream and Eye Rescue. Finally the last product I added to my order was the Becca Shimmer Skin Perfector which I remember everyone raving about a year or two ago. It's the sort of highlighter I'd mix with my foundation rather than highlighting my cheek bones. An added bonus because of Easter they included a Lindt mini easter egg. Do you order from Latest In Beauty? What's been your favourite sample you've tried? 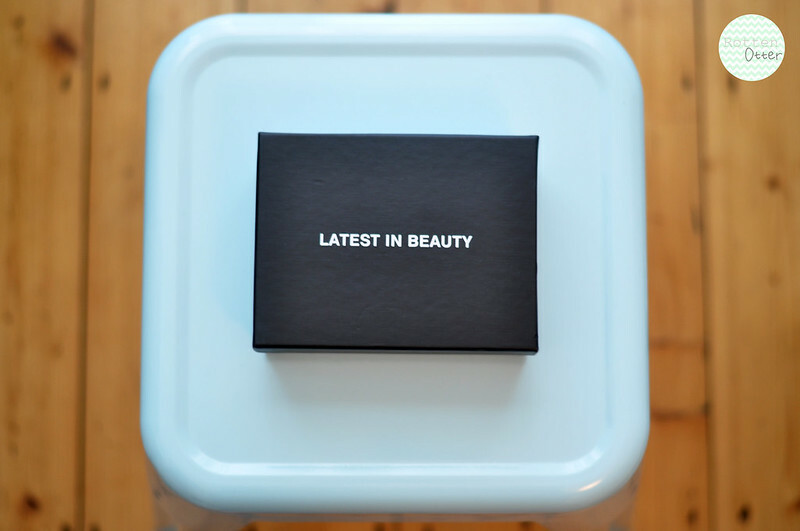 Oh this is an amazing beauty box! I love Latest in Beauty! The Caudalie and Becca samples look great.